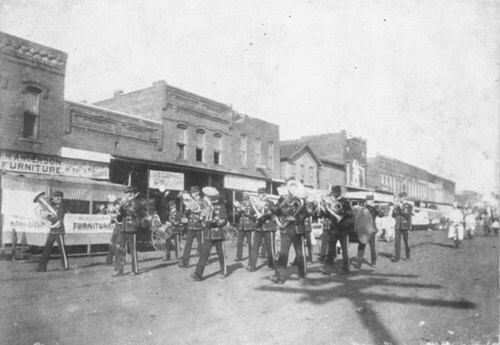 View of a parade in Chetopa, Kansas. The parade is lead by what is, probably, the Chetopa Merchants' Band, followed by several people on bicycles. Also visible are spectators, buildings and businesses, and curbside booths along the far side of the street.